Moses joined Generation Kenya in 2016. After graduation he got a job at NIC Bank—and he is already dreaming about building his own business. Moses graduated from university in 2012, with a degree in biomedical science and technology. But his education did not equip him for the job market. He secured a one-year contract at a United Nations agency, but when it ended he struggled to find another position. “I went for two years without a proper job. I kept on trying, and applied for many, many jobs, but none came forward,” he says. Right after graduation, Moses was hired by NIC Bank to sell financial products to business clients. “The skills I acquired in Generation really apply in my job,” he says. “I meet clients every day, and often present to groups of people. For example, I recently made a presentation to the administration of a university. It went really well!” Moses’s manager says he is a star employee. His dream for the future is to build a big business of his own; Moses wants to be part of a new generation of Kenyans unlocking the country’s growth. 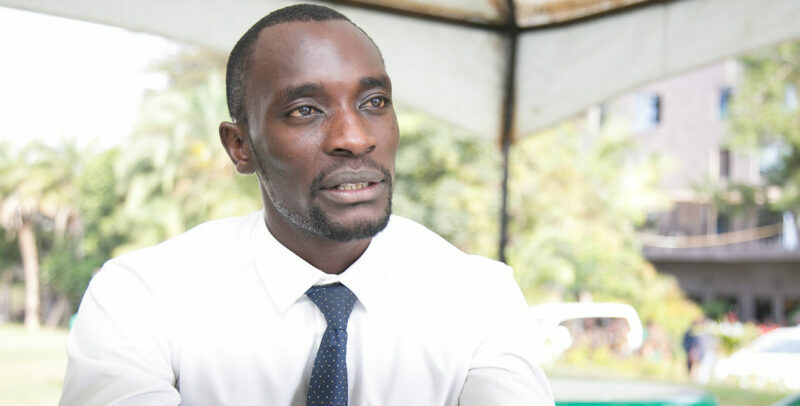 “If our youth can be empowered, then Kenya will really rise up economically.” Moses is already playing his part in that empowerment: in his spare time he mentors three recent Generation graduates.